This building began life in 1911 as the Heilig Theater, originally staging live theater, and was converted to a movie house in 1929. 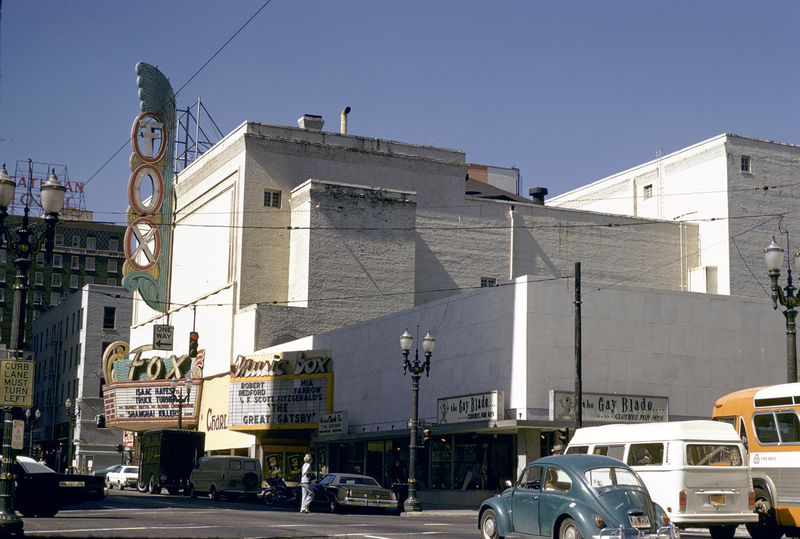 It was named Mayfair Theater in the 1930s-40s and again renamed to Fox Theater in the 1950s. It had a quite impressive Art Deco ticket booth. The Music Box theater dates to 1960, converted from existing building space. The entire block was demolished 1997 and replaced by the Fox Tower. This view is looking southwest at SW Broadway and Yamhill. 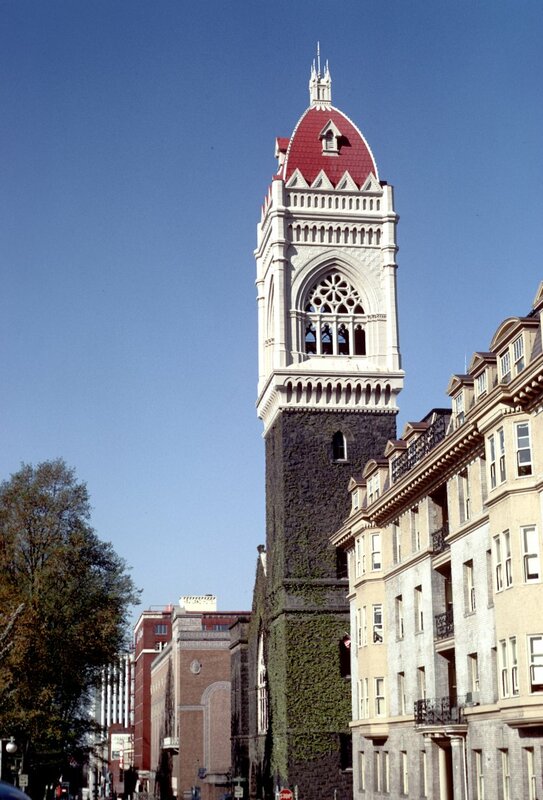 While the tower of the First Congregational Church featured in yesterday’s post dominates this photo, what really caught my eye was the graceful Second Empire-style Madison Park Apartments on the right. It was completed in 1908 on the southeast corner of SW Park at Madison Street. A fire in December 1972 killed two people and extensively damaged the building. It was demolished in 1974. Friday night and this city is jumping! 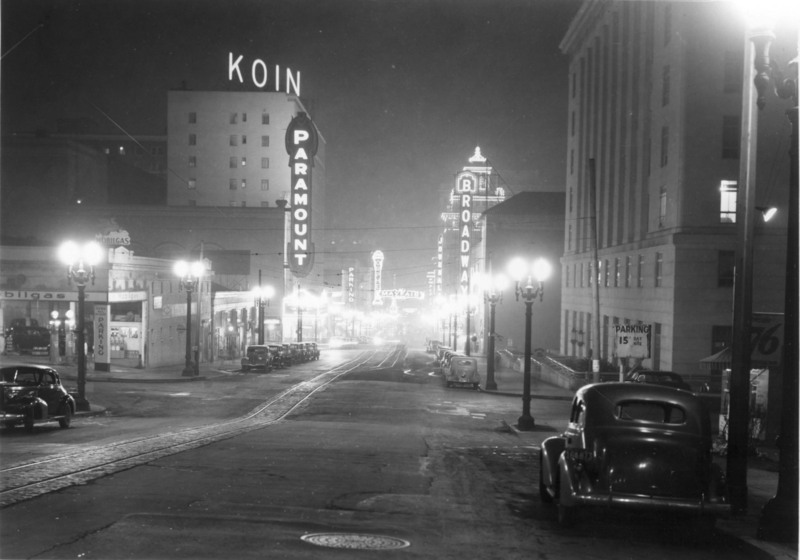 Looking north on SW Broadway toward SW Madison, Portland’s brightly lit theater signs are on display; Paramount, Broadway, Orpheum, and Mayfair. 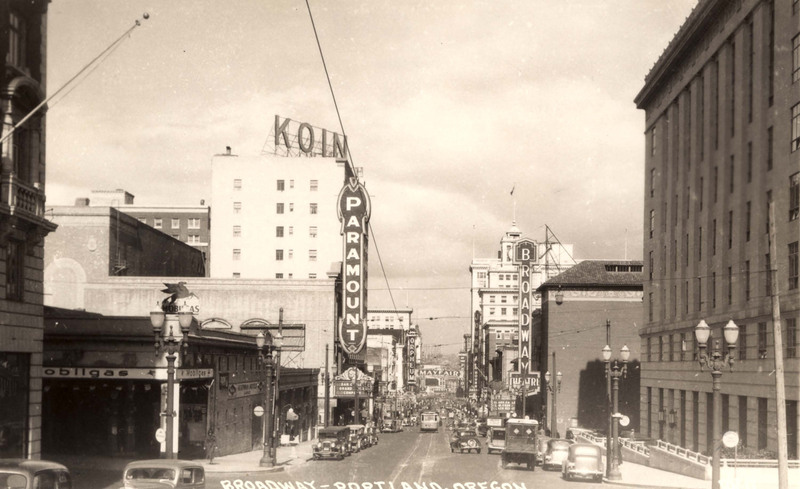 A lot has changed in Portland since 1935 but this view north on SW Broadway from Madison Street has enough landmarks to make it recognizable today. 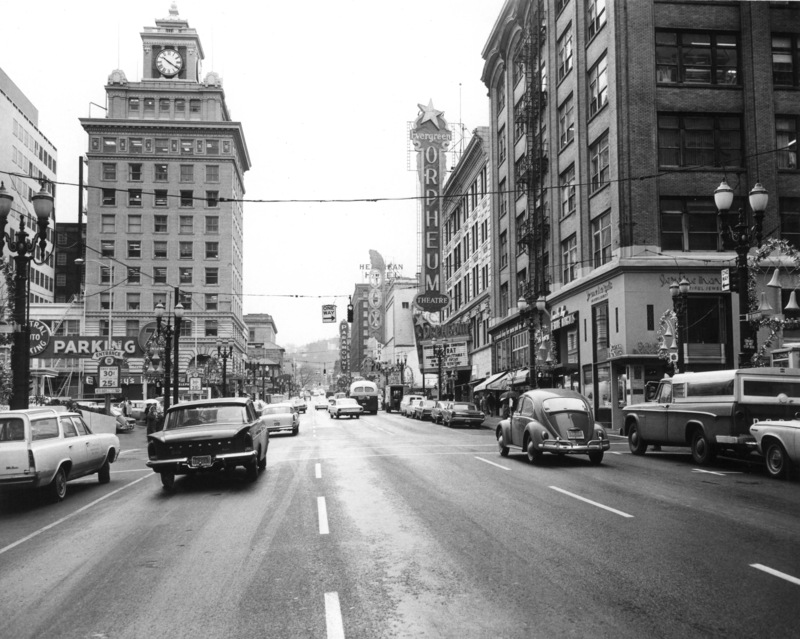 The most notable changes are the Portland Center for the Performing Arts building now on the left, and the 1000 Broadway building that replaced the Broadway Theater on the right.